Americans’ respect for police has reached its highest since the late 1960s, a new poll has shown. Despite racial tensions and police brutality in black communities, respect for law enforcement is almost equally high among both whites and non-whites. 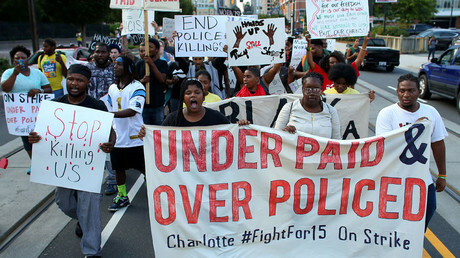 “The percentage who say they respect the police is significantly higher now than in any measurement taken since the 1990s and is just one point below the high of 77 percent recorded in 1967,” Gallup said, referring to the results of its most recent poll held earlier in October. Respect for police officers appeared to grow as the number of on-duty officers shot and killed rose as well, the survey revealed. Three in four Americans, or 76 percent, said they have “a great deal” of respect for police in their areas – a 12 percent jump from last year. Another 17 percent said they have “some” respect for their local police officers, and only seven percent confessed they had “hardly any” respect. The majority of those with the highest levels of respect for officers came from suburban areas, smaller towns, or rural areas, where numbers reached 80 percent – compared to less than 70 percent for those who live in small or large cities. 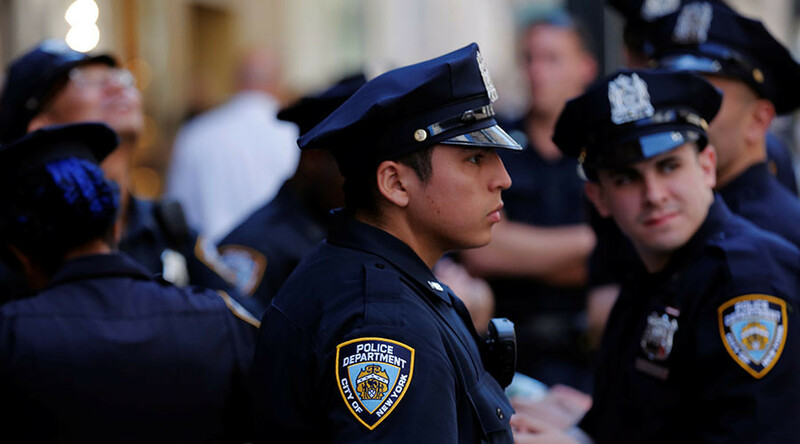 The surge signals a significant recovery from 2015, when Americans' confidence in police fell to its lowest in years, to just over 50 percent. Although 2016 has also been shaken with tension between police and civilians – including shootings of unarmed black men and attacks on officers in Texas, Louisiana, and elsewhere – that violence seemed to have little influence on people’s overall opinion of officers. Both white and non-white respondents showed increased levels of respect for law enforcement, signaling a change in trend since 2000. “Four in five whites (80%) say they have a great deal of respect for police in their area, up 11 points from last year. Meanwhile, two in three non-whites (67%) report having the same level of respect, an increase of 14 points from last year,” Gallup said. The surge has been recorded among most political parties, ideologies, and age groups. The number of young people aged 18 to 34 who said they respect police increased 19 percent since 2015. A 16 percent increase was also recorded among the 35 to 54 age group. “Respect for police remains highest among Republicans (86%) and conservatives (85%), but solid majorities of Democrats (68%) and liberals (71%) report the same level of respect,” Gallup found. According to the FBI, 41 officers were killed in 2015, which marked a 10 percent decline from the year before. However, the number increased in 2016, according to the National Law Enforcement Officers Memorial Fund. The non-profit has tracked 47 officers fatally shot in the line of duty so far this year.